Facebook is a social website that gives people the power to share and make the world more open and connected. 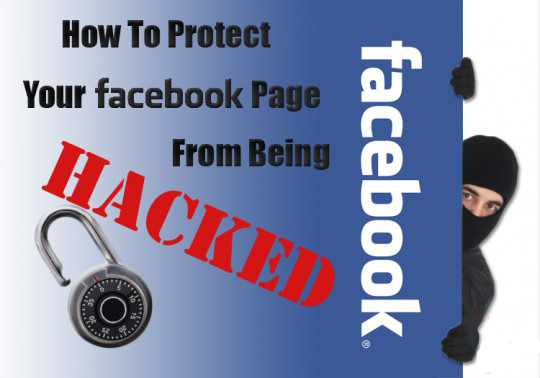 For its growing popularity, hackers have turned their attention to Facebook and its applications. It is very important for all Facebook account holders to know some tricks to prevent hacking. The first and foremost important trick to prevent hacking is to make Strong Password. You can make strong password by using both uppercase and lowercase letters as well as numbers and symbols. Make it sure to compose a new password with 8 letters at least. Never include your personal information like name or date of birth or home address etc. Change your password once a month. Do so to protect your personal information stored in your computer. Spyware and virus can steal your confidential information like passwords, bank information and important documents by sending them to hackers. If you use a cafe computer or of your friend then make it sure to log out properly and never choose the option to Remember Me.Many Key-loggers, RATs (Remote Administration Tools) have become quite wide spread therefore it is also a must to have a good Antivirus like "Avira"
Lots of working is being done to make Facebook safer but still there are many chances of account hacking. You can prevent hacking by controlling the information visible to the public. More information you allow the people to see more will be the chances of hacking. Don’t post your picture in your profile as hackers can save the image and post on somewhere else. Don’t put your pictures on internet as it makes people curious to see them. Don’t be crazy over different Facebook applications. It can be really addictive if your other friends are also playing the same applications. Installing these applications, you allow the creators of these applications to access your computer. You are advised to make a spare account on facebook to enjoy its applications and protect your personal information from hacking. Firefox claims to stop spywares from entering your computers so switch to this Web Browser from old one.Chrome being a little new to the web industry has lesser vulnerabilities ad its simplicity has always been the key to their protection.I would definitely recommend chrome for personal usages.